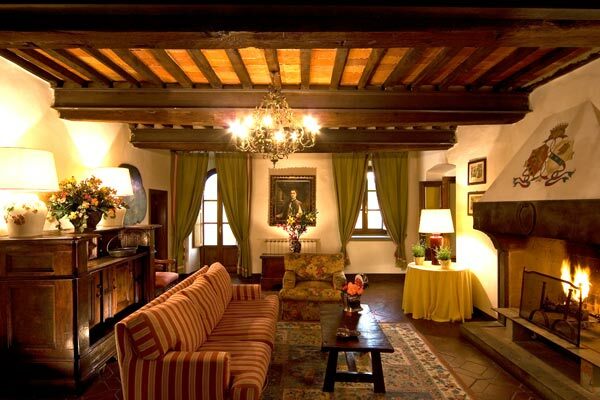 Antique villa of the 17th century located on the edge of Arezzo city. 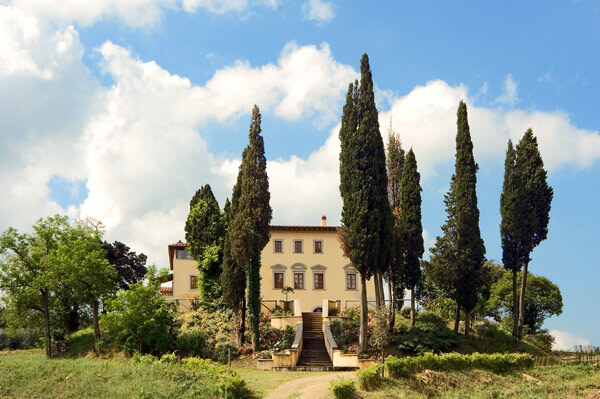 Antique villa of the 17th century, in a beautiful position that, as Villalta and San Fabiano, is part of The Counts Borghini Baldovinetti de’ Bacci Venuti Estates, located on the edge of Arezzo city. 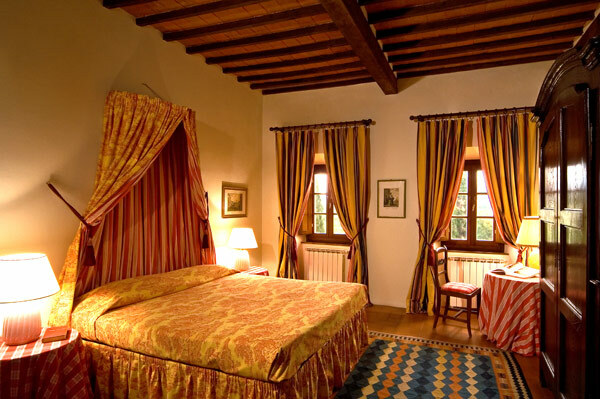 The fortinute of excellent quality, the comforts of which it is equipped, the pool and the context in which it is located, transform the Palazzaccio in the ideal location for a holiday in complete comfort. Easily reachable due to its proximity, you can reach the Casentino, with its castles and the Sanctuary of La Verna and Camaldoli. Availability to rent the property for 26 beds (11 double rooms on the main building + 2 rooms in the dependance). San Fabiano vineyard is located just 200 meters from the villa and we’ll be at your disposal for any request. 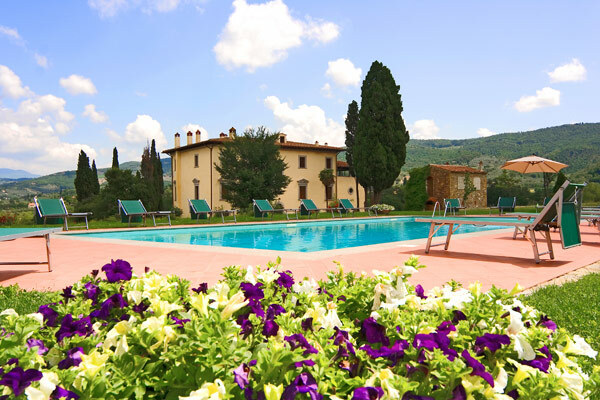 OUTDOOR: External Portico with iron tables, swimming pool and large garden among the vineyards. SERVICES: house-cleaning, central heating and Wi-Fi. UPON REQUEST: Chef, Chauffeur, Masseur. 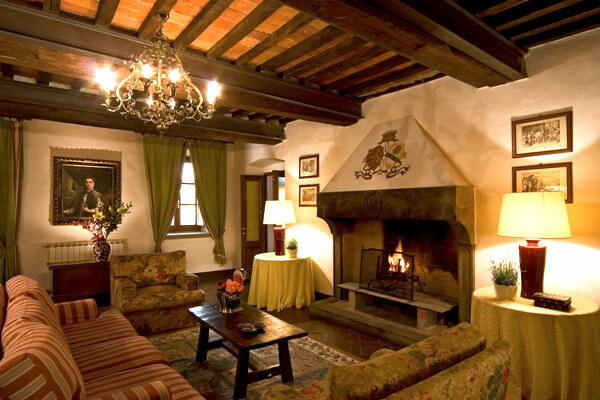 ACTIVITIES: tennis, equitation, cellar tour and guided wine tastings, cooking classes, Golf. GROUND FLOOR: large living room for 22-26 people/hall with TV, kitchen, 1 bathroom. PRIMO PIANO: soggiorno con camino, 1 camera matrimoniale con bagno con vasca, 1 camera a due letti con bagno con vasca, 1 camera a due letti con bagno, 1 camera a due letti con doccia e 2 camere a due letti che dividono il bagno con vasca. FIRST FLOOR: living room with fireplace, 1 double room with bathroom with bathtub, 1 twin room with bathroom with bathtub, 1 twin room with bathroom, 1 twin room with shower and 2 twin rooms, which share a bathroom with bathtub. LOCATION: 5 minutes from Arezzo, 45 minutes from Cortona and Trasimeno Lake, 1 hour and 15 minutes from Perugia and Siena and Florence. 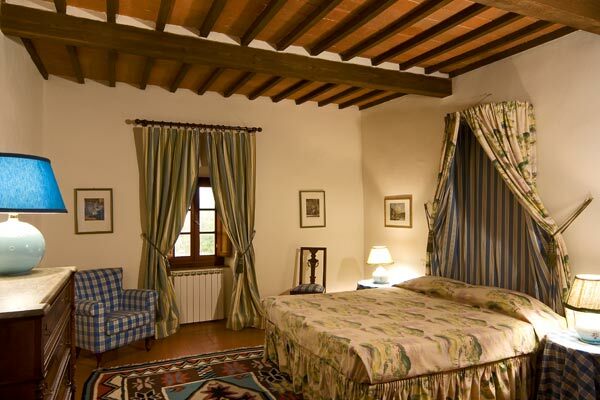 5 minutes from the tennis courts, 45 minutes from golf courses (Poppi). 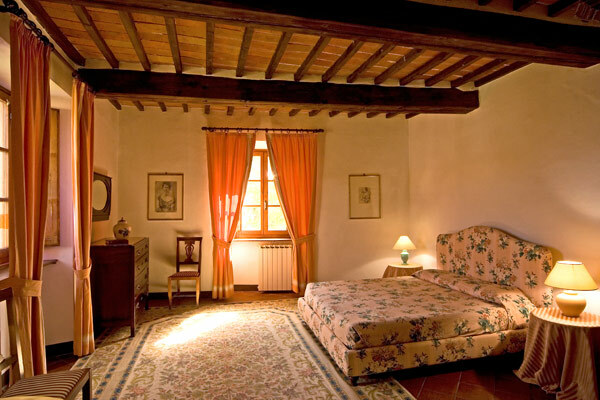 Located on the hill of San Fabiano, Villalta is a splendid 17th century villa of 1100 square meters, able to host up to 20 people in the 10 double rooms. 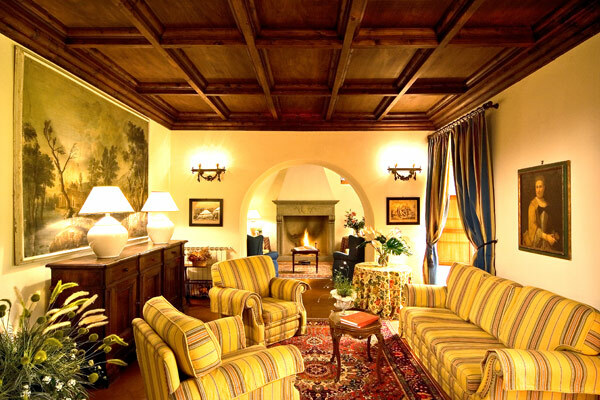 Also part of the Estates of Borghini Baldovinetti de’ Bacci Venuti Counts, entirely renovated, in the middle of an extended land with a swimming pool among olive groves, vineyards and wood and is 900 meters far from the city walls. View of the countryside, the Casentino, and the South-West, on the historic part of the city and on the Cathedral of Arezzo. 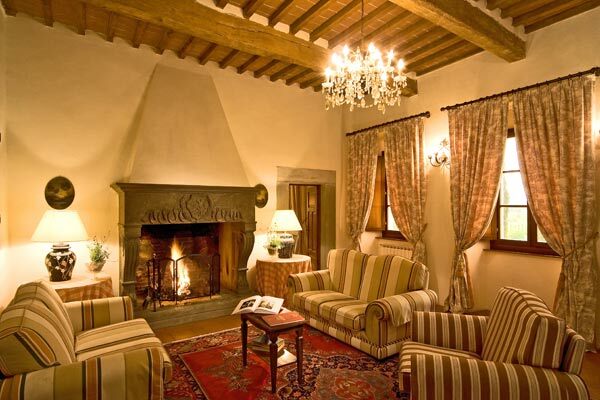 For a stay of total relax and tranquility, enhanced by comfortable furniture with antique elements. 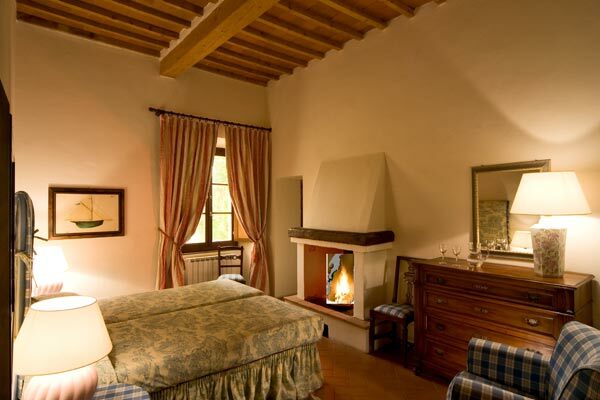 San Fabiano vineyard is located just 200 meters from the villa and we’ll be at your disposal for any request. OUTDOOR:The villa includes a large garden with swimming pool, equipped with changing room and showers surrounded by olive trees. GROUND FLOOR:living room with fireplace, TV lounge, library, dining room with panoramic veranda, kitchen (oven, freezer, dishwasher, washing machine), 1 bathroom with shower..
FIRST FLOOR: also called Piano Nobile, Living room with fireplace and billiard, 1 twin room with bathroom, 1 double bedroom with bathroom, 1 double room with 1 shared bathroom (suite) with twin room. SECOND FLOOR: 2 double rooms with bathroom, little living room, 1 double room with bathroom and 1 double room with 1 shared bathroom (suite) with twin room. Also available cribs for children. Taste of wines and local Tuscan products. 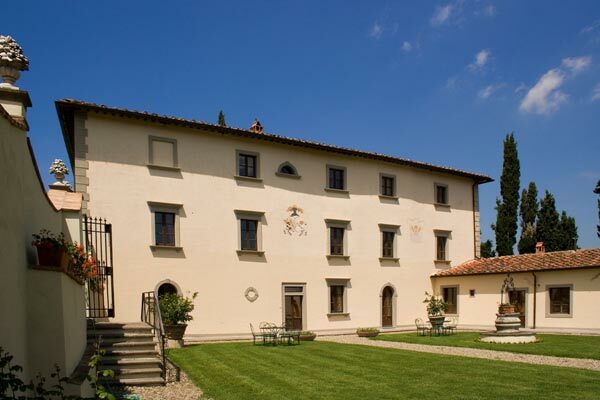 The tour to the historic Estate of San Fabiano, owned by the Counts Borghini Baldovinetti de’ Bacci Venuti, is a unique experience that allows to retrace the history of this noble family, always linked to the winemaking tradition of Arezzo territory. 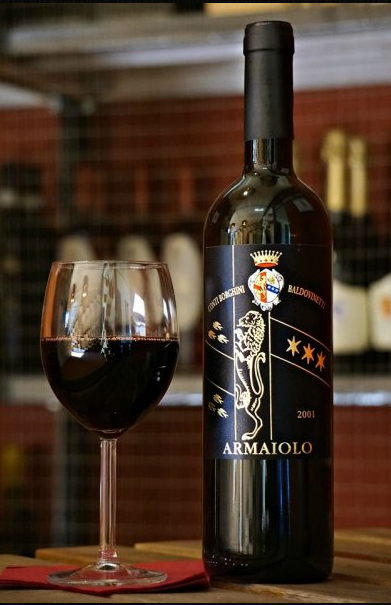 The tour leads to the discovery of the vineyards, the winemaking and ageing cellar which, located about 1 km from the walls of Arezzo, give life to the precious wines of San Fabiano. The visit ends in the tasting room with a taste of a selection of wines and typical Tuscan products.